My edition: paperback, published on 14 August 2014 by Head of Zeus, 391 pages. How will Emma end her story? At the end of last year I had the pleasure of reading Dani Atkins' beautiful, mesmerising and haunting debut novel, Fractured (read my full review here). After finishing it I knew that I had read something truly special and I was amazed that it was the author's first novel, because it was already that good. Of course I couldn't wait to see what she would write next and as soon as publisher Head of Zeus released the details for The Story of Us I was anticipating its release. Would this novel be just as heart-breaking, though-provoking and memorable as Atkins' first? Emma and her two best friends are driving home after her hen night when disaster strikes. In the blink of an eye her blissfully happy life, in which the most stressful part used to be planning her wedding, is completely turned upside down. She barely makes it out of the car alive before it explodes and owes her life to a handsome stranger rescuing her at the risk of his own safety. One of her closest friends wasn't so lucky however, and not only does Emma have to try to come to terms with this terrible loss, but her friend also leaves behind an unexpected legacy. Not to mention that Emma is having very confused feelings both towards her financé and her rescuer. She attributes it to a victim complex, but perhaps there is more to it than that? Initially the story of this novel felt and sounded very similar to Atkins' debut novel and I feared that what I'd found so unique and mesmerising in the first book, would feel unoriginal and repetitive in this one. I needn't have worried however, because besides once again two different paths laying ahead for the main protagonist this was an otherwise very different novel. I was quickly gripped by the compelling storyline and really felt for poor Emma, who seemed to have it all at the start of the novel but whose life was rapidly falling to pieces. The inner struggle between her childhood sweetheart and the intrigue of the American stranger who rescued her felt very realistic and if I had been in her shoes, I definitely wouldn't have known what choice to make. If there even was a right choice that is, as I did feel that the eventual conclusion of the story wasn't fair to the one character who ended up being by himself. While it was an impossible choice for Emma either way, I also felt that her response was unfair and he (I'm not mentioning any names as to not spoil the ending) didn't deserve such an unhappy ending. Writing this review I've come to realise I actually feel quite strongly about this, which is why I'm giving The Story of Us a slightly lower rating than Fractured as I find the latter still the better novel of the two. Nonetheless this was an incredibly moving book, which made me feel immensely close to the characters. So much so, that I wept away a tear or two while reading as their unfathomable loss radiated off the pages. 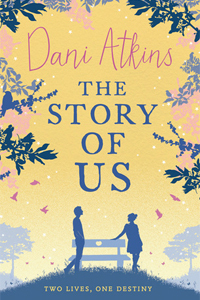 Dani Atkins has an astonishing talent for making readers instantly care about the characters she writes about, making this once more an emotionally gripping read from start to finish. Many thanks to the publisher for a copy of the novel in exchange for a honest review.